As one of the most recognizable furniture brands in America, Bassett (NASDAQ: BSET) has been in the furniture business for more than a century and now operates over 100 retail locations across the United States, Puerto Rico and Canada. Since product and company reviews have become more prevalent and important to web shoppers, Beacon took on the task of integrating customer reviews on the Bassett Furniture site. 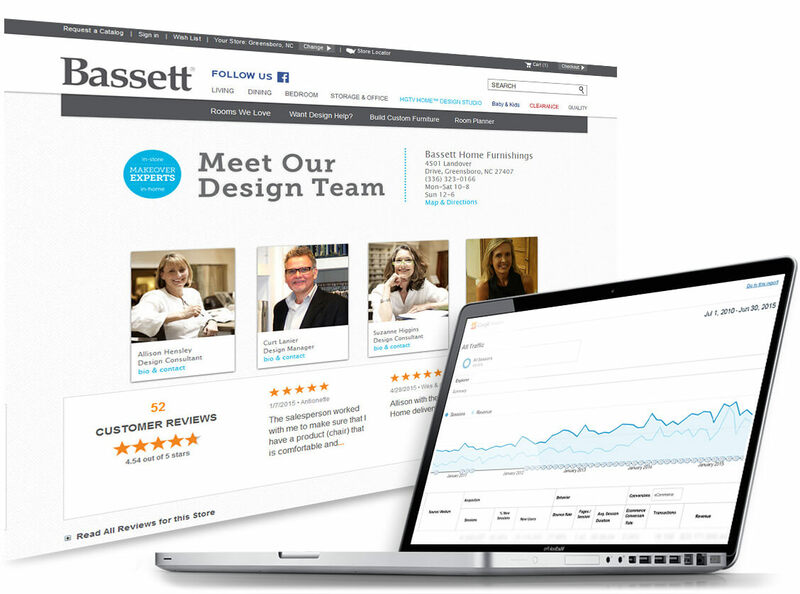 Outside of the actual review aggregation, this project brought additional challenges considering Bassett's vast Corporate and Licensee store network that needed reviews and star ratings displayed individually. Eager to take on the task at hand, Beacon worked closely with the client to generate creative, out-of-the-box options that were solution-oriented. This resulted in a custom development solution that worked for both the client’s backend system and digital marketing needs. And by adding advanced Google Analytics tracking to the reviews, we were able to quantify the results. Review interaction increased e-commerce conversion rate by 500%. The Bassett-Beacon relationship has been strong since 2005. 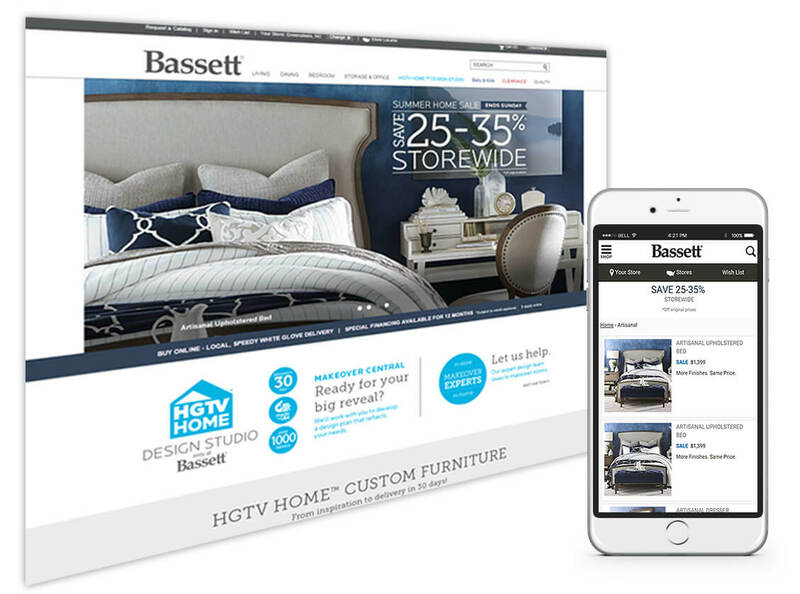 Bassett Furniture is a great example how a more traditional business has become a major player in the digital space – especially in an industry where most consumers want to “touch and feel” furniture products before purchasing. The company's well-conceived plan started with a customer-focused website, then SEO was layered in, followed by ecommerce and other features over time to connect their online marketing with their in-store experience. Now, they successfully leverage just about every aspect of digital marketing in its day-to-day strategy. With over 100 brick-and-mortar stores, Bassett’s highly creative, well-integrated, ecommerce, content-rich, audience-focused approach at the local and national levels has seen amazing and continued growth.